Amylulita says...: Siren Music Festival 2010 - Coney Island - fried dough, carnival rides, and the boardwalk! 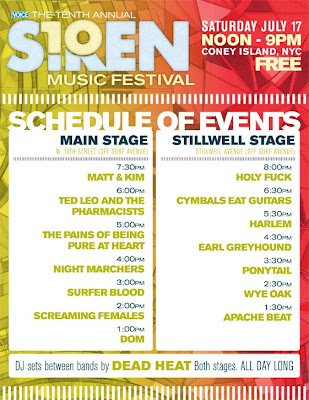 Siren Music Festival 2010 - Coney Island - fried dough, carnival rides, and the boardwalk! 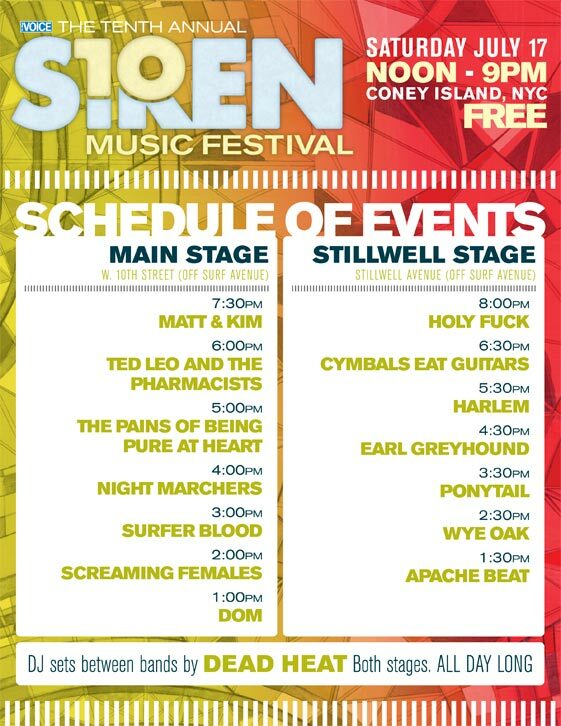 I'm not totally pumped for the lineup this year, but I love Coney Island, live music, and fried dough w/ sugar so I'm heading to the Siren Music Festival 2010 tomorrow. I've been going since it started in 20o1 and each year has been a bit more blah than the last, but it's always a great day for eye candy, carnival rides, boardwalk dancing, and getting into all sorts of trouble! 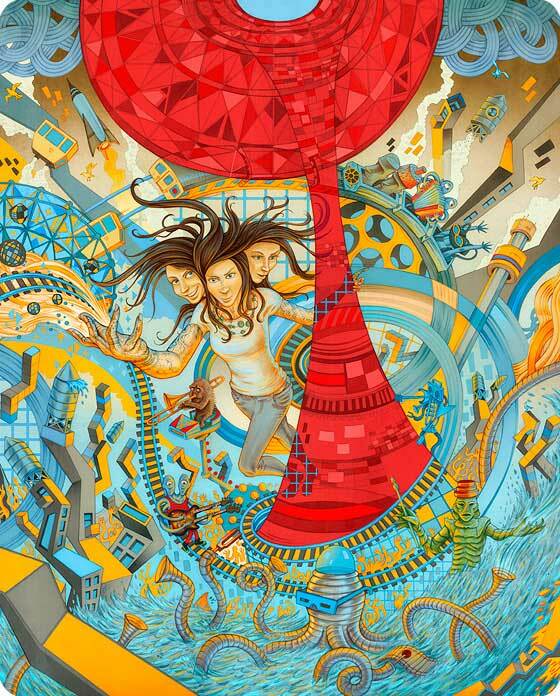 The Village Voice independently produces the Siren Music Festival. Set against the backdrop of Coney Island, this free, all ages, all day music festival showcases renowned and emerging artists on two outdoor stages.